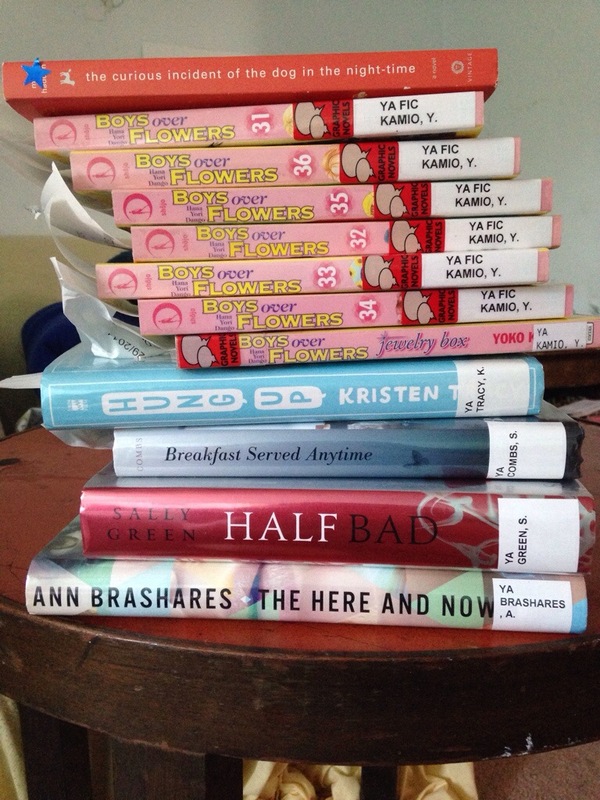 Book Haul: Library and stuff!! So I haven’t been reading much or going to the library, but I found myself there twice in the last few days and, well, I sort of went crazy. I’m so excited to read all the Boys Over Flowers, but I’m somewhat resisting it because all of those books make up the end. And then I’m done. 😭 But there’s still the anime and dramas, so that’s cool. I started reading Hung Up last night and got through about half of it. But I feel like there’s nothing going on. I’m gonna push through it though and maybe I’ll fall in love or something. I saw the first and third books of the Dust Lands series at the library and got them because I’ve had an ARC of the second book for ages. I peeked inside, though, and saw that it’s written in dialect, so I don’t think I’m going to read them. I just can’t do it. Let me know if I’m making a bad decision. Anyway… I got a ton of books. 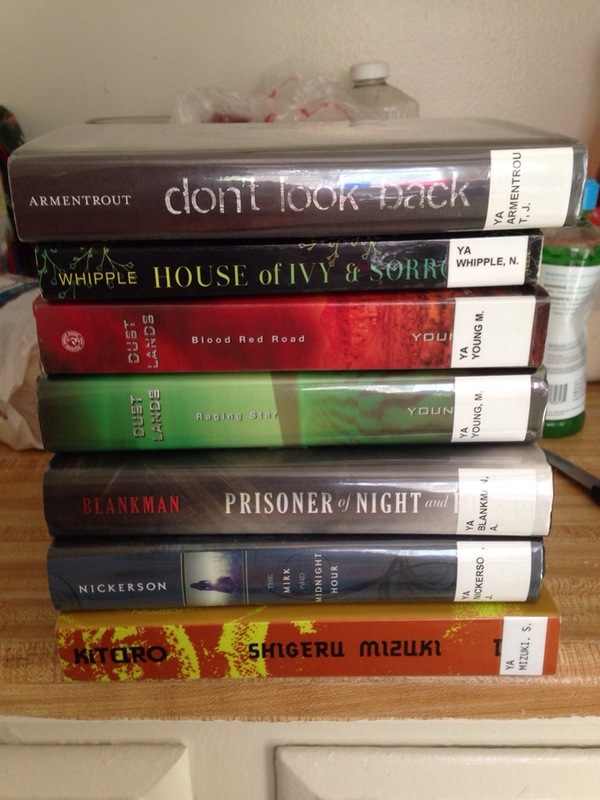 I really shouldn’t have since I have so many unread books on my shelves and lots on hold at the library, but oh well. The Curious Incident of the Dog In The Night-Time is one of my favourites, but people either love it or hate it. I got an ARC of The Here and Now and DNF’d it, it seems majority of people didn’t enjoy it. I haven’t read any of the others one but I would say Blood Red Road or Half Bad! Ah, yeah. I actually started The Here and Now a long time ago (before it published) and didn’t finish it. I saw it at the library though and thought I would try to finish it. I don’t know. Meh. You can never get too many library books! That is my motto. 🙂 Half Bad is a really good one, although it can be a little slow at times, but I loved it. Happy Reading! You’re not the first person to say Half Bad. I want to read that one but I’m not sure if right now is a good time. Hmmm. I don’t know. Thanks for the input! Yeah, I was so excited when I saw that one. I didn’t think twice about picking it up. White Hot Kiss was there too. I think that’s written by her? I go crazy at the library sometimes too, probably too often. There is too much to read! Right? And there’s always that feeling of “I have to get it NOW!” Haha.